“Pressure’s a killer for us all”, he said. The way Ron sees it is that when we let external pressures and high expectations get the best of us, we don’t perform or live as well as we’re able. Ron is my stranger of the day. He’s a Special Olympics coach and has been coaching for years. Something he loves about coaching the Special Olympics athletes is that they tend to take the pressures in life and in sport less seriously than most of us. Their main expectation is to have fun at the Games, and the pressure to win does not puncture their perspectives of their worth, abilities, or fulfillment. 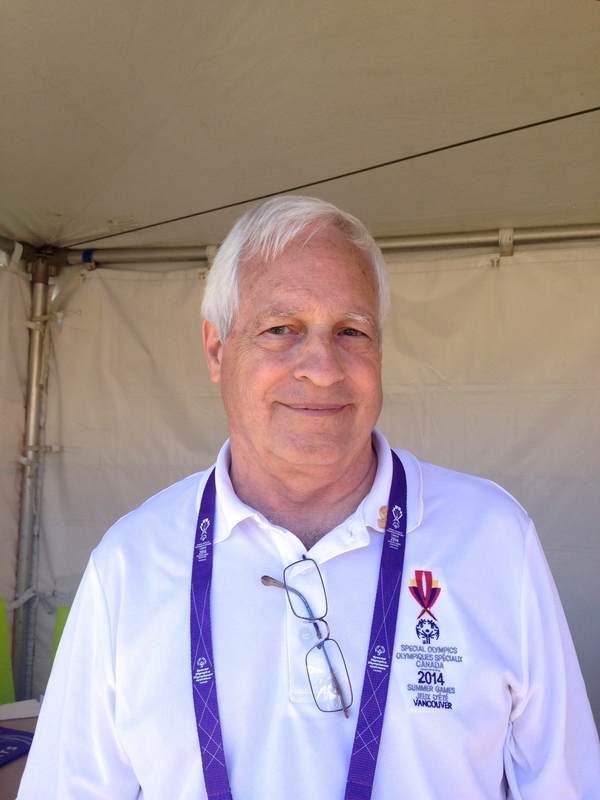 In his lifetime, Ron has coached many athletes, ranging from competitive AAA level athletes to the Special Olympians. He much prefers coaching the latter. Ron told me about a time when a 7-year old autistic boy’s mum gave him a call. She said that he was good at running, albeit a little shy. And shy he was. At the first track practice of Ron’s he attended, he clung tightly to his mother’s leg, refusing to participate in the sport. But as time eased on, the boy became more comfortable in the presence of his teammates. He started to run with the team and even went out of his way to participate exceptionally and to be a good teammate. The boy’s mother was in awe of his progress. Ron was too. The Special Olympics — from preparations and practices to the Games themselves — provide a space for athletes with intellectual disabilities to grow in community spaces in ways they could not grow alone. In an inclusive effort to accommodate those athletes who could not run, Ron decided to start a walking club over a decade ago. The group still meets once a week, walking together around the track on Monday evenings. Ron told me about how much he loves these sessions and about how much he has been learning from the athletes. One of his athletes has all of the US states memorized, along with all of their capital cities, past presidents, and major historical events. Ron pointed out that each and every one of us — whether we have an intellectual disability or not — have both strengths and weaknesses. It’s a part of being human. And while the “us” and “them” dichotomy is very much existent in discussions about folks with intellectual disabilities, we are perhaps far more alike than we often acknowledge.